But that doesn't really make sense does it? The top and bottom of the pack is all based on cell voltage. So they could have changed the cut off voltages? On the 2011 pack the top may be voltage limited, but the bottom turtle and pack disconnect are based on kWh remaining. 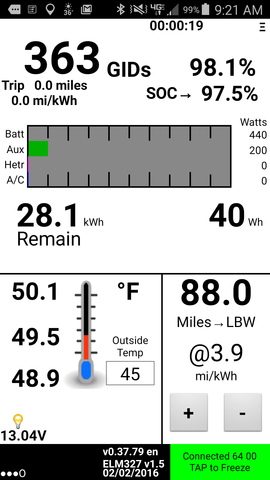 0.4 kWh reported by LEAF Spy Pro at Turtle. 0.3 kWh reported at Pack Disconnect. That is not correct. The sun may have set at the same time, but the sun wasn't the disconnect. It was the lowest cell pair voltage threshold. TonyWilliams wrote: That is not correct. The sun may have set at the same time, but the sun wasn't the disconnect. It was the lowest cell pair voltage threshold. I agree it is a correlation, not necessarily causation. But the lowest cell pair voltages observed have varied greatly depending on the capacity degradation of the pack. They do not correlate with a single lowest cell pair voltage. So if it is the cause, must be a more involved threshold algorithm than just lowest cell pair voltage. TimLee wrote: So if it is the cause, must be a more involved threshold algorithm than just lowest cell pair voltage. There may be other factors, of course, like temperature and degradation (impedance), but the absolute only way to prevent a bricked battery is never let any cell below a threshold. its the voltage that causes permanent damage to a cell which is why Nissan (correctly I might add) uses it for the cut off. DaveinOlyWA wrote: ... its the voltage that causes permanent damage to a cell which is why Nissan (correctly I might add) uses it for the cut off. The damage to the pack and the threshold may be primarily a function of voltage. But the observations on LEAF so far say there is more to the threshold than voltage alone. Will be interesting to see measurement of pack disconnect threshold the 30 kWh pack uses. And changes in that threshold with pack aging. 3 QC (the dealer must have done the first two), 13 L1/L2 (one charging event for 5 minutes to test new 240 outlet, all others prior to 1/28/16 were overnight L1). Couldn't get a picture of the battery balancing bars on screen 1 for some reason, but I they look really out of whack (to me) so cells may be unbalanced. 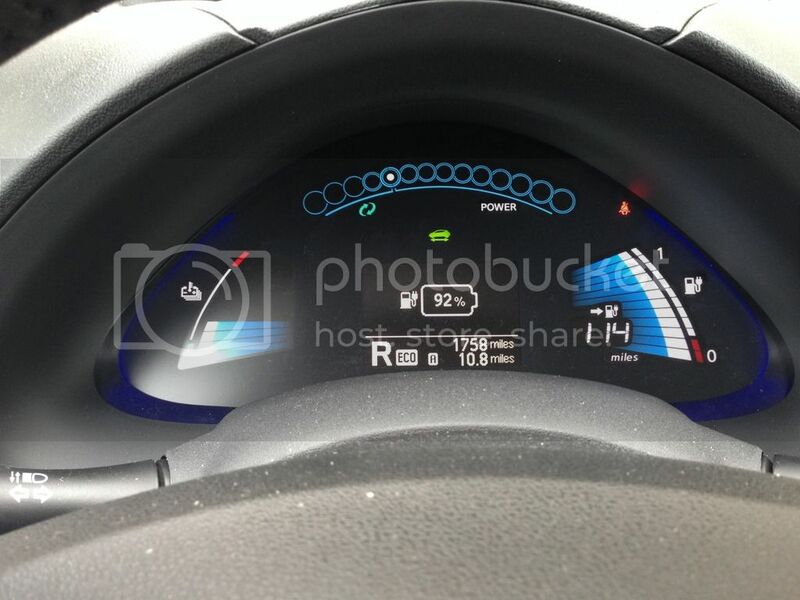 I got a 2016 Leaf SV with the 30Kwh battery about a month ago. Triple digit range feels awesome! 30 kWh pack using LeafSpy Pro 0.37.79. Huh, only 88 to LBW at 3.9? Is the LBW range expanded? DNAinaGoodWay wrote: Huh, only 88 to LBW at 3.9? Is the LBW range expanded?